News about a rumored HTC Nexus 9 tablet has been relatively sparse since we first heard about a potential partnership with HTC earlier this summer. Now, following certification for the device from the US FCC authority, it appears that the Nexus 9 is one step closer to release. The FCC lists a tablet numbered 0P82100, which has been rumored to be the model number that the HTC-made device sports. Configurations include both 16GB and 32GB models of the tablet, with the usual array of connectivity options including Bluetooth, NFC, and support for the latest 802.11ac wireless standard. 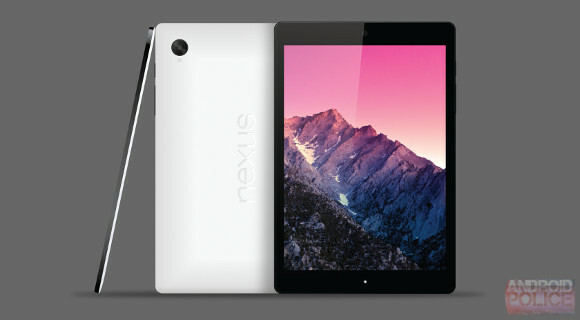 Rumors are that the Google Nexus 9 from HTC could be announced as early as October 15, and FCC certification at this stage almost guarantees that we'll have a new Nexus tablet in time for the holidays. Just for you 1 nexus with 128 GB.. **** brain!